If you are really serious about making money on the internet, you must get yourself a blog or a website. You can start with free ones and upgrade as time passes by. With a free blog or website, you can easily start making money with Google and even use it for promoting your affiliate links, your ebooks etc which in turn will be making you some money. As a newbie, am sure you might want to ask "how do I make a website and how do I make money with it?” The answer is pretty simple. Here, I am ready to take you by the hand, upgrade you from a JJC to an internet guru. I am sure you will like this. Well, you too have to be ready to learn and put into practice, whatever you learn. Practice makes perfection. 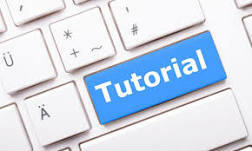 Below is a step by step tutorial on how you can create your own free online website to make money online. Lets get started. For your website to be accessible by anyone anywhere in the world, you will need a hosting provider also called a web hosting company. There are free ones while there are some who will ask you to pay certain amount before they can help you host your website on the internet. Though, for serious businesses, free website will not make sense but If you are a newbie, START WITH A FREE ONE. After mastering how websites really work you can then go for the paid ones. Have you seen a driving school that uses Hummer Jeep to train people how to drive a car?..Think about it. Below is a couple of free well known hosting providers, which allows you to create your very website completely free. 1. Blogger : a free blogging platform which you can easily set up within 5 minutes. These are just some of the great free hosting providers that will provide you the disk space you need to easily start your own website and be able to display advertisements to make money (I will talk about this later). If you are a newbie, you can be using free hosting sites to learn how websites work before starting your very own serious website. As each day passes by, technology makes life easier. Gone are the days that you must master a lot of codes before you can design a website. Today, there are lots of already designed websites out there. All you need to do is just to apply some changes to them and your website will be ready within a few minutes. We call such ready-made websites WEB TEMPLATESand if they are blogs, they are known as BLOG TEMPLATES. These templates are what some hungry marketers sell for some people, making series of hype like CREATE YOUR WEBSITE IN 3 MINUTES AND MAKE $1000 WITH IT WITHIN 24 HOURS etc...Wonders shall never end...loads of such hypes out there. Just shine your eyes! There are lots of free web templates you can use on the internet, though you must still posses some web-design skills for you to be able to edit them BUT THERE IS JUST NO BIG DEAL IN WEB DESIGN. The big deal is in web development (I will talk about this later). So, FEAR NOT. Choosing a web template can be rather hard. When deciding which best fits your website, you must already have an idea of what you want your website to be about, because if you made a site dedicated to computers, and your web template is based on animals design, would that really make sense to you? Most of the web hosts provide free templates. After signing up with any of the web hosts, login into your account, look around and you should be able to see a link pointing to WEB TEMPLATES. Follow the link and choose the template you want, edit it and within a few minutes your website will be ready for the whole world to see. If you are in need of free web templates you can download to your PC, go to Google and inside the search box, type "free web templates" and filter through the results to get what you want. Below are some other free sources that give away free templates for you to use for the respective platforms, free of charge. After setting up your website with your hosting provider and have chosen the template of your choice, you can then simply add content to your website. Content is the most important key to building up a good website or blog that can both provide users the information they are looking for and at the same time make you money. Without content, your site is of no value to anyone and I doubt if you will be able to make a dime with it. If you are running a blog, be sure that the topic you are writing about is something you will always love writing on. Adding some great stuffs, such as widgets and tools to your websites are great in terms of adding more value to your website. The more complete your site looks, the more valuable it becomes. Bravenet offers some free webmaster tools you will like. Check it out! If you are running a blogspot blog, blogger is already loaded with loads of widgets to choose from. Just feel free to explore. There are many tools you can use to build your website. I started designing websites with Microsoft Frontpage, though I now use Dreamweaver for most of my projects. You can easily get Microsoft Frontpage from any computer store around you. With it, you will be able to easily edit your website, add content to it and also upload it to the internet. Once you have added some valuable content to your website, move on to the next step. Make sure it is of great quality because your content will determine whether or not visitors will come back to your website. With the way you are enjoying this article now, I am very sure you will love to come back and read this blog again another day, isn't it?... I can see you nodding your head now...saying YES, I WILL. Smiles** I hope you can grab the gist. LOAD YOUR SITE/BLOG WITH CONTENTS FIRST BEFORE EVER THINKING OF PROMOTING IT. In webmaster language, getting people to visit and read your website simple means getting WEB TRAFFIC to your site. There are many ways you can drive traffic to your website free of charge (I will be talking extensively on this later). Below is a list of few great sources of online traffic. I have been using the free sources to promote my blogs and websites and they have been working for me. I believe you can see some of the statistics of this blog on the sidebar. Please, shine your eyes before you waste your money on those traffic exchangers or sites that will promise to give your site traffic after paying some money. Most of the time the traffic is of little worth and the exchanges is just a time waster. BEWARE! This is where the money comes rolling in. Once you have set up your website with good content and HAVE ATTRACTED A LOT OF READERS, you will be able to easily make money from the website. Take it or leave it, if you have thousands of good articles on your blog or website and no one knows about it , you might not make a cent with the website. This is what forces some bloggers to be engaging in CLICK FRAUDS, clicking on their adsense ads by themselves all just to make money, since no one is coming to their blog to click for them. In the long run, they get caught by Google and Google ban them, loosing whatever tey might have earned. NEVER TRY TO CLICK ON YOUR ADS. Load your website with good contents, PROMOTE IT OVER AND OVER.With time, you will start having loyal readers and along the line, you will be making money out of them while they too will be benefiting from things they are getting from your website. Readers get valuable information. Writers get a bit of income. THIS IS THE SECRET BEHIND THE SUCCESS OF MY BLOG, SO FAR. 3. sales of products eg ebooks. These are just a tip of the iceberg. There are many ways you can make money with your website. All websites have different methods that work best for their own particular website. You just have to find out which works best for your site on your own to maximize it’s true potential income to make money. That's all for now. So get Started, create your first website and feel free to share the link with me using the comment from below. This way, I will easily be able to help you with some useful tips that can make it look better. If you really care about knowing how to design websites, I can train you on a one- on - one basis for a friendly fee. I also have some ebooks that can get you started asap.